Spring Creek Flies | Techniques, instructions, flyfishing, and opinionated rants and raves. Welcome to my fly blog! 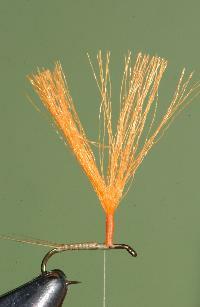 I am going to share with the world my favorite spring creek flies, and methods for tying them. Along the way I will try to share some flytying hints and possibly some small opinionated rants and raves about flyfishing. My patterns have been developed on Depuy’s, Armstrong’s and Nelson’s Spring Creeks; all located in Paradise Valley south of Livingston, Montana. 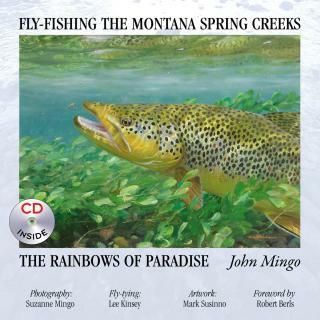 As a long time Montana Outfitter and Guide, I have spent over 500 days guiding and fishing the famous spring creeks of Paradise Valley. These patterns represent my time and research on the water, and have been proven over and over for many years. You may be able to find something totally new on these pages, but like all fly patterns, most of mine are just adaptations from the innovations of previous fly-tying masters (and novices). These patterns all fill a separate niche in the arsenal a flyfisherman needs to be successful; not only on the Spring Creeks of Montana, but any stream that contains selective trout. 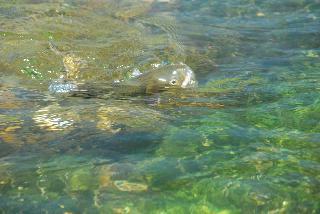 Spring Creek Fly in Action! John and Suzanne Mingo are long time residents of Montana. I have had the pleasure of getting to know them over the past few years and have the privilege of tying many of the flies they use while fishing the Paradise Valley Spring Creeks. John has developed some unique methods for catching selective and difficult trout, he has honed his skills by spending untold days amongst some of the toughest fish on the planet. He has written and excellent book describing and detailing his techniques for tricking selective fish to eat one of our imitation insects. This book is the definitive textbook to teach techniques to catch difficult and pressured trout. John and I have modified some of the tried and true time tested patterns to come up with a new flybox of innovative flies to consistently deceive selective trout, whether they are lying in Depuy’s Spring Creek, the Missouri River, or in your backyard. This book is available online, but please contact me if you are interested in a signed copy that includes a free fly….. I still have some remaining copies available. My favorite Pale Morning Dun imitation: The Hi-Vis PMD Parachute. This fly is the perfect indicator that fish also eat! 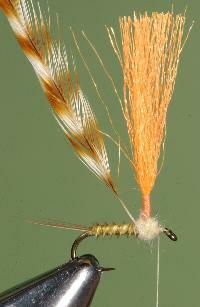 I use this fly constantly on the Paradise Valley Spring Creeks with another fly trailed behind it. 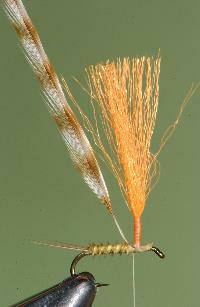 Rather than use an indicator, a nymph or emerger may be tied directly off of the bend with 6x or 7x tippet. I usually keep the distance no more than eighteen inches. Standard Dry Fly Hook TMC 101, Dai-ichi 1310, Dai-Riki 305, etc. 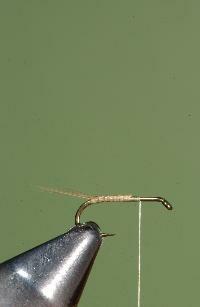 Attach thread and tie on a microfibbett tail (6-8 Fibers) a little shorter than 1 hook length. Tie in the post. I use Orange Antron Yarn, but pick a favorite color. Don’t forget black for those low-light days. After figure-eighting the post I tie it upright. Make sure to bring your thread wraps high enough to wrap the hackle on—-this is critical. 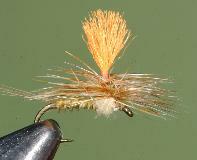 Tie in the turkey biot, I use a pale olive, but match to your local color. I have seen and tied PMD’s the color of a Cheeto! 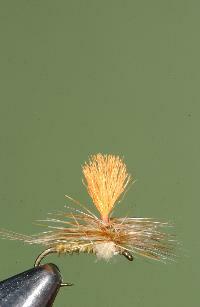 After wrapping the turkey biot forward to the edge of the post, tie on a bleached grizzly hackle. Notice I strip the hackle about the length of a hook gap. This allows you to start your first hackle wrap at the top of your thread wraps on the post. 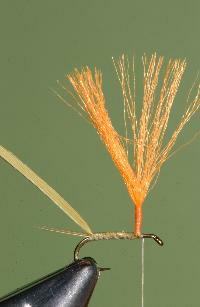 Dub a small thorax around the post, leaving plenty of room to tie off hackle.